MacKenzie Commercial Real Estate Services, LLC is pleased to announce that Annapolis Pediatrics has expanded, adding a fifth location with their recently signed lease for 6,025 square feet at 3158 Braverton Street in Edgewater, Anne Arundel County, Maryland. MacKenzie Vice Presidents Justin Mullen and Trish Farrell represented the landlord in the transaction. Part of the South River Colony, 3158 Braverton is a 25,000 square foot, two-story office building that allows for direct, first floor entrance from the parking lot, providing Annapolis Pediatrics a strong presence in the project which includes multiple buildings and medical tenants. The building has an additional 5,300 square feet available on the first floor. “Historically, Edgewater has been considered a secondary market to Annapolis; however, with the continued growth of its residential population, the area has matured into a standalone medical office market,” stated Justin Mullen. For more than 60 years, Annapolis Pediatrics has provided healthcare services to infants, children, adolescents, and young adults in Annapolis and surrounding communities. With over 30 physicians and nurse practitioners, this new location adds to those located in Annapolis, Crofton, Severna Park, and Kent Island. Ernie Shineman of Coldwell Banker Commercial NRT represented Annapolis Pediatrics in the transaction. 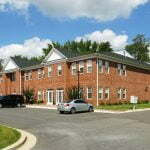 For more information on Annapolis Pediatrics, please visit www.annapolispediatrics.com. For leasing inquiries contact Justin Mullen at 410-974-9008 or jmullen@mackenziecommercial.com, or Trish Farrell at 410-974-9003 or tfarrell@mackenziecommercial.com.